The Carter Builders family is as proud of the relationships we’ve built with our homeowners as we are of every home we build. Take a moment to get to know us as we look forward to getting to know each one of you. An 8th generation Montgomery County Marylander/Washingtonian, Carter began working in the home building industry for his father, renovating several Historic homes in the community. 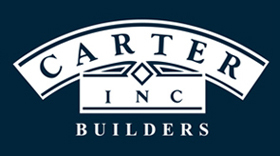 Carter founded Carter, Inc. in 1981 and has built new homes and developed small land projects in Montgomery County for 34 years. He currently serves on the MNC-Building Industry Association Board of Directors, and is a proud Co-Founder of Renewing Montgomery, a communications initiative to improve the dialogue among homeowners, neighbors, and homebuilders on issues relating to home construction and remodeling in established neighborhoods. In his spare time, Carter has coached football for the Olney Boys and Girls Club, and enjoys spending time with his wife and 3 children. Learn more about Renewing Montgomery. Keith discovered his love of the craft as a carpenter while still in High School in Columbia, Maryland. His exceptional talents led to ever increasing responsibilities over the years as Supervisor, Production Manager, and Director of Operations. 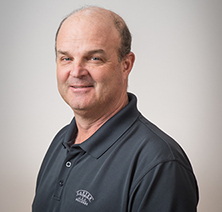 As Vice President of Construction for Carter Builders, Keith brings decades of experience to bear on each and every custom home construction project. Keith is the proud father of 3 adopted children and is a licensed foster parent for the Howard County Department of Social Services. 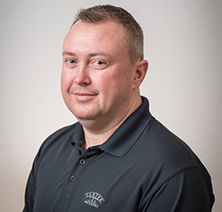 Steve is a 2nd generation builder and life-long native of Montgomery County, Maryland. With a resume of several builders and developers, he brings over 45 years of on-site construction experience. 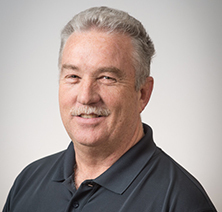 Steve also boasts 34 years (and counting:) of marriage experience and 2 successful sons who have taken up the mantle and also work in the building industry. Marni is a full-service custom residential interior designer, specializing in new construction and renovation projects. Marni Holifield, a designer with 10 years of experience, brings to each project a mix of aesthetic understanding, technical expertise and business acumen. Marni’s typical design assignments include: site evaluations, interior space planning, furniture layouts, electrical and lighting layouts, custom built-in cabinetry and background millwork, kitchen and bath design. Marni works in collaboration with our clients, architects, and other specialized consultants to ensure that every product selected for each project meets Carter, Inc. standards of excellence. "Carter, it has been a pleasure working with you and Carter, Inc. Your extensive experience and knowledge in the home building industry has made our job... continued"
- Jeff C., Landesign, Inc.